Whether you’re getting off the grid, don’t yet have a local SIM card or just prefer not to be connected all the time, you’ll find yourself traveling without the Internet at some point. You might remember the old days of traveling — paper maps, hand-written directions and relying on guidance from locals — but we live in the age of technology now, and there are plenty more options to choose from. Can My Smartphone Really Track My Location Without the Internet? Yes. Google Maps (and any other mapping apps on your device) has the ability to track your location without needing an internet connection. Without getting too complicated, the GPS inside your smartphone is a ‘receive-only’ sort of radio. That big circle comes from the cell tower and crowd-sourced wi-fi information, while the smaller, more precise circle comes from putting all the data pieces together. Without a data connection, the A-GPS doesn’t work, but the GPS radio can still get a fix from the satellites and the cached ‘memory’. It will take a little longer, and the accuracy of the fix will depend on a few things outside of your control (the terrain, for example). Can My iPhone Track My Location in ‘Airplane Mode’? Yes, if you’re running a recent version of iOS. If you’re paranoid about being tracked by GPS when you don’t want to be, go to Settings > Privacy > Location Services to disable the GPS radio. All of these options offer offline maps to pair nicely with your location, but those maps usually have to be downloaded first! The apps below don’t include maps of the entire world in their initial download, so download the maps for your trip before you leave the Internet behind! Perfect if you’re sticking to cities or well-known tourist destinations, the app itself is free (Apple App Store, Google Play, or on Amazon’s App Store). Between relevant Wikipedia articles and street maps, the GPS in your device interfaces nicely with with their offline maps, which are broken down into country and city guides. If you’re crunched for time or don’t want the frills, you can opt to just download the maps and not their articles (get both, though!). The free app comes with five guides, which may be all you need. More are available for $0.99 per three maps, or a lifetime of maps for $7.99. It looks to cover the biggest cities, but I wouldn’t expect much help if you’re getting too far off the beaten path. Great if you’re looking for inspiration from travel experts, the free app is only on the Apple App Store as of right now. Purchase guides on varying themes, which offer pre-cached Google Maps of the area in question. There are some social aspects that are part of this Euro-centric app too, and I’ve actually written a few guides for the site. Hiking in the US or Canada used to mean carrying topographical maps, the best of which were produced by the United States Geological Survey (USGS). This app isn’t the cheapest at $7.99 (Apple App Store), but it contains complete topographical maps of the US and Canada, all free to download inside the app. The current location and compass are two features your paper maps will have a hard time replacing. If you need the world’s topographical maps in your hand, this is the app to get. It’s $9.99 on the Apple App Store, but features layers from several different sources and can work with metric, imperial, or nautical measurements. The same company sports an even more fully-featured app, Gaia GPS (at $19.99), which adds some extra stats and gets updated quicker. They also claim the highest resolution USGS maps, a claim I’ll leave you dear readers to put to the test. 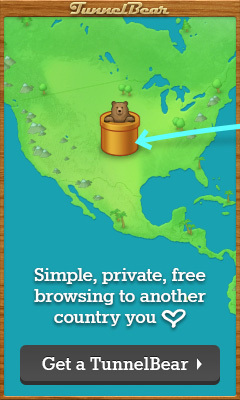 Get the map of an entire country with a single tap! The app is free on the Apple App Store (a pro version costs $3.99) and the OpenStreetMap maps are updated monthly. The pro version (or the in-app purchases from the free version) feature GPS Tracking, bookmarks on the map, and a few other things. Best of all, it claims compatibility with the iPad 1 and the iPhone 3GS – it’s probably time to upgrade those, but if you still have them this app will work just fine. Originally offering mobile versions of paper maps, Maplets ($2.99, on the Apple App Store and the Google Play Store) now gets into city and country maps. Download any of their 10,000+ maps for the US or worldwide, or try one of their other country-specific apps for Australia, Canada, and New Zealand). They seem to take the paper map available from elsewhere and digitize it, then add in the location and so on — not a bad way to go, but it does seem to limit the available selection as a result. Maps.me ($4.99 on the Apple App Store) claims over 6 million downloads and works fine on your iPhone or iPad (note that a Wi-Fi only iPad lacks the GPS radio, so it can’t show your current location without Wi-Fi). Maps are taken from OpenStreetMap’s extensive database. I like the location-sharing feature, though of course it requires a connection to send it via e-mail or text message. The Google Maps app (free on Apple App Store and the Google Play Store) offers offline support, and it got much better earlier this year. While you used to have to mess around typing ‘secret’ codes into the search box (or, for a while, putting up with no offline mode at all), saving maps for offline use is now built into the app — we covered how to do it here. Note that the cached maps are automatically deleted after 30 days. If you’re going off the grid for longer than that, it’s probably best to look to one of the other solutions. How do you stay on course without an Internet connection? People with Android phones could also check the Here Maps beta (standard on Windows Phones), I believe there’s an iOS version coming out as well. As Nokia owns the former NavTech, the maps are pretty good and one can download them to the device. No interweb access needed afterwards. We’re just about to board to Australia and I downloaded the maps to my phone, looks very promising. Totally agree – it looks very promising. I installed it a few weeks back and downloaded maps for Taiwan, where I’m heading tomorrow. Will be good to give it a real test! Have you tried http://gps.motionx.com/ ? One of the best ways for downloading infinitely detailed maps that are available offline. Will be using this for my drive from Singapore to London next year for sure! I have the Galileo Maps app and have used it for a number of years. I read your article above which states that the GPS does not work in Airplane Mode. This is untrue. I just put my phone in airplane mode and took a walk down the street with my local area Galileo map loaded. It tracked my location perfectly. Airplane mode is the safest setting to avoid charges from your US carrier when traveling in Europe. (no incoming calls with cellular charges, no push apps with cellular/roaming data, (incoming texts will be disabled). The Apple support article linked above says that in iOS 8.2 and below, GPS is turned off when you switch to Airplane Mode. If you’re running a later version of iOS, that’s no longer the case. I’ve updated the article to reflect the change, which came into effect earlier this year. I was just able to use both Google and Apple maps whilst in Airplane mode but with wifi and Bluetooth turned on. As long as I had the apps open when I started and was connected to wifi the Blue Dot continued to show my location as I travelled around Taiwan. The dot would go grey and stop tracking in remote areas but come alive again once I was near houses etc. This was done on iPhone 5 with a Japanese Sim but no service and a 4s with a T-Mobile and no service. Always in Airplane and I have screenshots to prove it. Yup, as mentioned, that’s what you should expect if you’re using a version of iOS above 8.2. I use Pocket Earth. Once purchased you can download any country. Routing and tracking…. Great for getting lost then following your breadcrumb track back to your hotel.